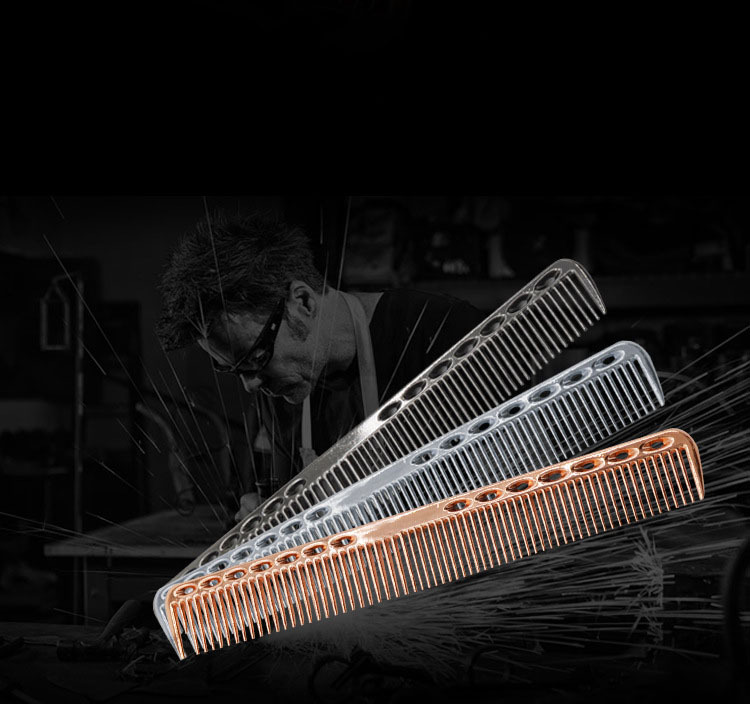 This comb is made of aviation aluminum material, pure hand-made, exquisite craftsmanship, a new generation of high-quality hairdresser comb, a good tool for hair stylists, and very practical. 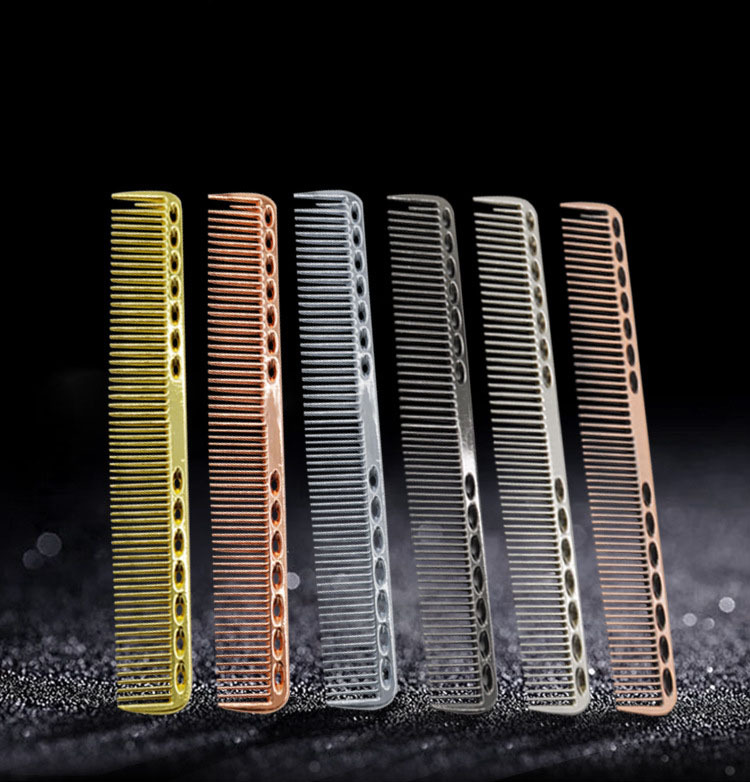 Laser cutting and manual grinding, the comb teeth are round and shiny, the rounded comb teeth do not hang the hair, the front end picks up the design, and the haircut type is easy and convenient. The comb body is hollowed out for a comfortable grip. 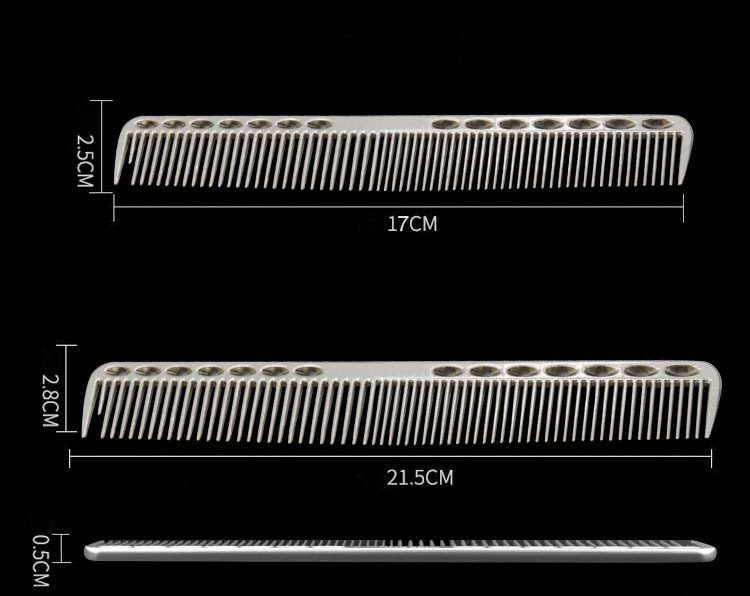 Looking for ideal Aluminum Hair Comb Manufacturer & supplier ? We have a wide selection at great prices to help you get creative. 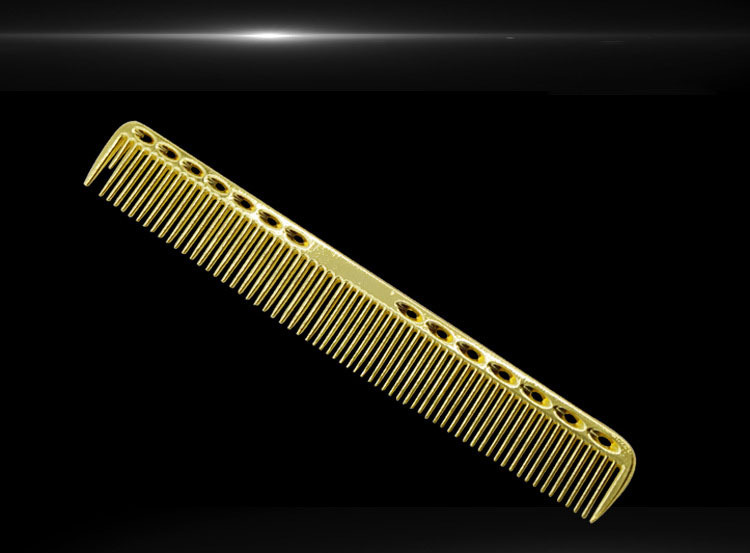 All the Professional Anti-static Comb are quality guaranteed. We are China Origin Factory of Space Aluminum Metal Comb. If you have any question, please feel free to contact us.